As Republic Day, a national holiday, falls early in the week, lots of people are holidaying taking advantage of the long weekend. My flight from Delhi on Saturday was delayed. With a big D. The time I was supposed to land in Mumbai, as per schedule, was the time the flight took off from Delhi! This is something which is beyond my control so no point in fretting about it. 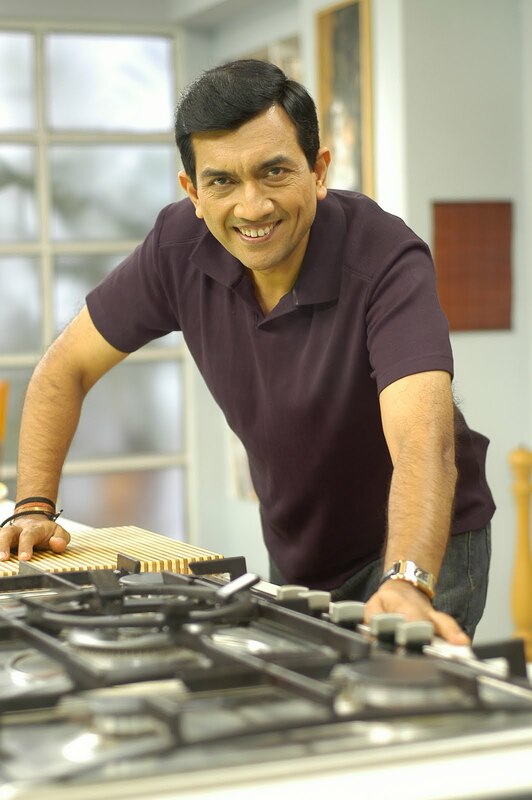 Tell me, what are your thoughts when you are cooking? While cooking I remember only one thing: that cooking is an art, I am the artist and the cooking pot is my easel. Cooking is actually the well orchestrated moves that get food onto the table. If the heart plays even a teeny weenie role in this orchestra, the symphony that is the meal will have music surging through and through. Family meal times are more than just about food, they are about connecting and communicating with the people we value. They are also a time to anchor ourselves during the day. If you consider cooking as a way to escape from daily stress, then your kitchen becomes an oasis of creative possibilities. The rewards bring you immediate gratification, as also a great sense of pride, satisfaction and confidence. Even in our kitchen, learning is a continuous process. As a new presentation requires some work, (sometimes a lot of it for a tangible breakthrough!) it is up to the researcher to enjoy the process and get the side benefits. This weekend, we have experimented with different shapes a samosa can take and the possibilities are endless! So when you think triangular, conical, think also of plaits, bundles, potlis, packets, stars, what not. It has been my constant endeavour to present recipes that can thrill a gourmet. It would interest some of you to know that it takes just a wee bit of ingenuity to refresh an oft tried recipe. I present my new book Dakshin Delights that has traditional greats with loads of feel-good flavours! Enjoy on a holiday like Republic Day tomorrow some saffron coloured Kesari Bhaat, pure white curd rice like Bakala Bhaat with nice green coloured spinach chutney called Keerai Thuvayal, all three giving a joy filled tricoloured look to your family meal! There’s lots to convey! First and foremost, waiting for your response and feedback on the new design of my website. The homepage has had a makeover, the pages have been made lighter so that navigation is faster and the Search window is more prominent. Well there is more! There is a new Suggest facility in Search, Books have links to specific recipes, and there is more interactivity with Contest and Quiz. Before the month ends there would be about 1000 new recipes uploaded for you! 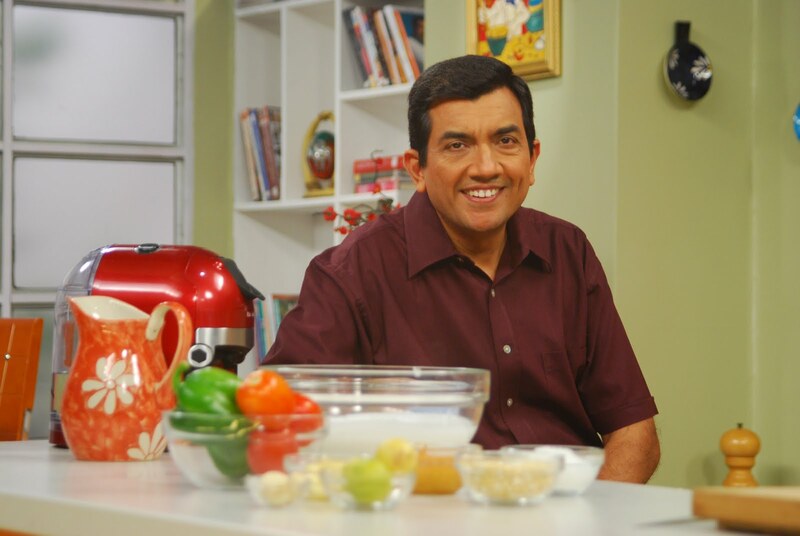 Do write back with your suggestions to enquiry@sanjeevkapoor.com. Mark the mail WEBSITE FEEDBACK. So what else is happening? On the stands are five NEW books: Dakshin Delights, Cooking with Olive Oil, Tawa-Handi recipes, Sweet Temptations and Sunday Specials. Shop for them conveniently on shop.sanjeevkapoor.com. In life small gestures matter. 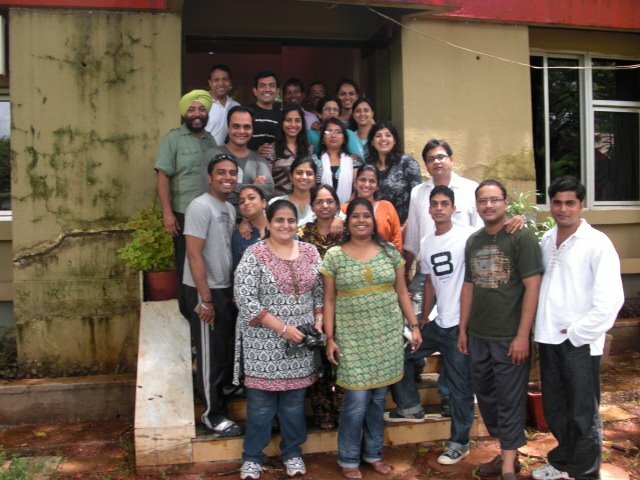 Since many years my team has been having a Bakers’ Day at a nursery school in Juhu. It has become a tradition for the school! 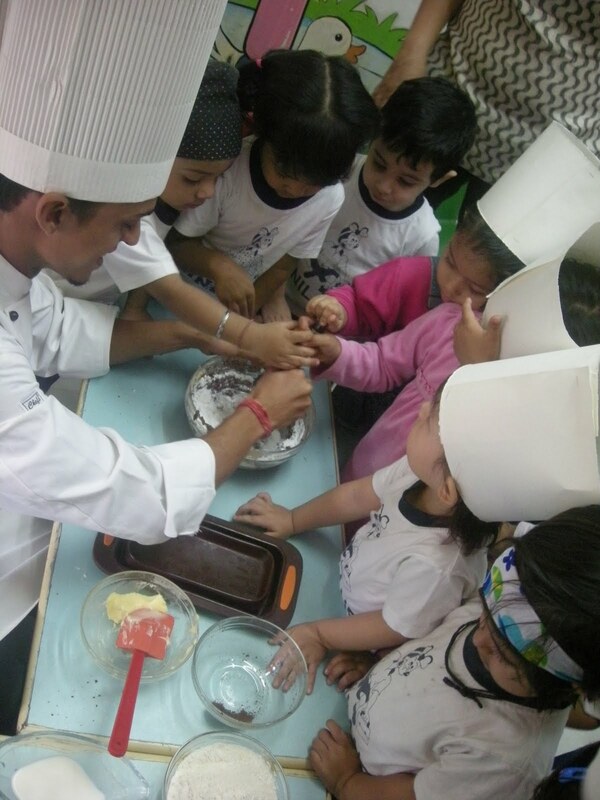 Not only is it a fun activity for our chefs but also for the kids and teachers. It also shows that kids have so much enthusiasm for learning! The treat was Eggless Chocolate Cake which was enjoyed at all stages (more batter tasting!). For the weekend, try out some recipes from the new books like Cheesy Macaroni and Dum ka Murgh! Kids will be happy. Coming home from Delhi late tonight. Off to Ludhiana and Delhi tomorrow for a couple of days. I am posting you with these details well in advance so that you have time to plan your attendance. Launching Wonderchef in Punjab this Thursday. In Ludhiana to begin with. 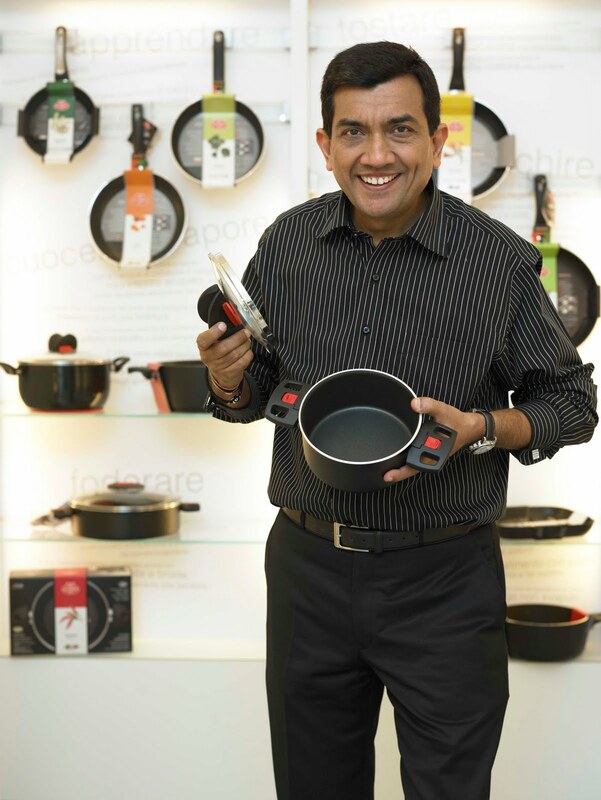 Wonderchef, as you know, is a unique range of cookware, bake ware, kitchen tools and accessories handpicked by me from the best companies in Italy. I will be demonstrating some special recipes so as to bring to fore the wonders that this range can create in your kitchen! For example take a cake mould. Bake a cake or then use it as a container to make curry in a microwave oven! That’s versatile! Or take a pizza pan. Well, bake a pizza or cook a korma using it! How? Well, this is exactly what the demonstration is all about. So all the dynamic enterprising ladies from Ludhiana can learn about Wonderchef and its unique offerings and the business opportunity that comes along! Later proceeding back to Delhi for a talk organised by the All India Management Association (AIMA). I will be addressing management students about what it takes to be successful in life and how to manage multiple businesses. The session will be held at the IILM Auditorium, Lodhi Road, New Delhi on Friday 22nd January between 14.05 pm and 15.20 pm. As it is a norm to always give you recipes I will share some light delights with you. Salad Greens with Strawberry Vinaigrette,Salad Wrap and Sprouts Tabbouleh. Enjoy the crunch! Our Dream Run at the Mumbai Marathon went off successfully. The friendly crowds cheered us on from the side lines and time just flew! I did hear some laments about the heat being too much and the weather not being ideal for a long run, but our run was shorter compared to the half and full marathons. 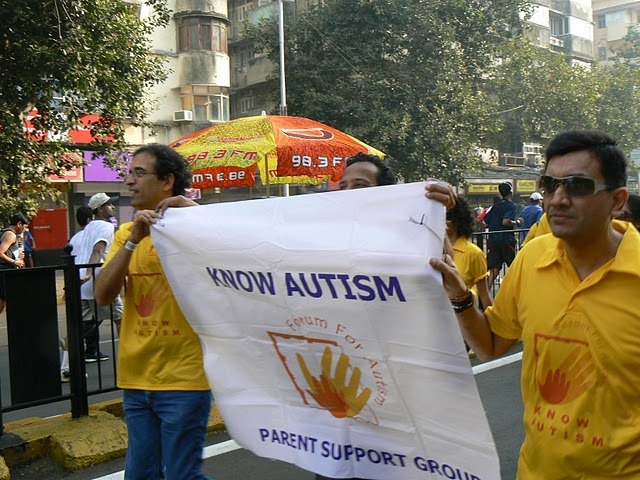 Had a quick group photo with my team, Harsha Bhogle and Chitra Iyer, President of the Forum for Autism. Lunch was waiting for us at home, very lovingly prepared by two mothers! Alyona’s mom prepared Undhiyo and my mom prepared Sarson ka saag and Makki di roti. Alyona’s sister and cousin brother had come for lunch and her brother wanted to have the Prawn Curry which I prepare, so I quickly prepared one for lunch. As we were tired (and the huge lunch warranted a nap, no doubt!) rest of the day was spent lazing and chatting. Ready for a Monday in the office, was greeted in the morning with appetising tomato soup aromas! Trials were going on for a range of tomato soups. I think a good Tomato Saar can really perk up the palate! For those who love mild soothing stuff then Tomato and Cilantro Soup is the one for you. Off to Kolkata for a day to attend a students’ event at Subhas Bose Institute of Hotel Management. Will have lunch with my Maasi and Maasaji and then back home tomorrow! Have to be – for Sunday is my Dream Run for the Forum of Autism. 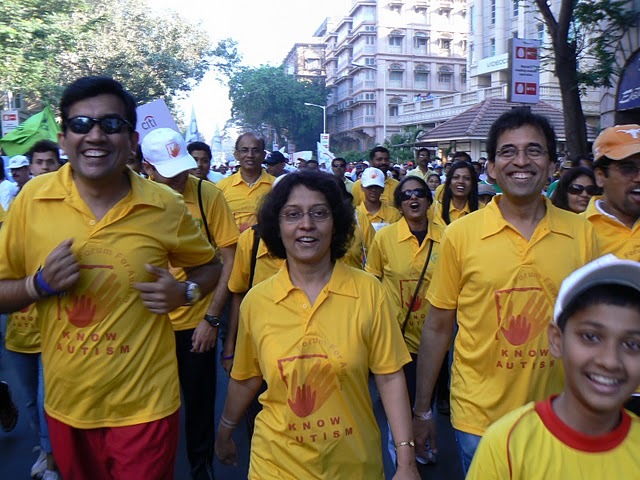 Harsha Bhogle, Alyona, and my team are running with me. I always look forward to Kolkata. If I have time I have to pick up some gundi paan and get them home for Alyona. These are of special melt-in-the-mouth quality. I have spent some summer vacations of my childhood in Kolkata and know what the roadside puchkas, jhaal muri, stuffed mango kulfi, aam papad taste like! In fact all these special tastes are deeply embedded in my memory! I always say if passion has to be given a definition then the world should stop a while in Bengal! Bengalis are known for their deep love for books, music and theatre. What oxygen is to a being, poetry and art is for a Bengali! Though Bengalis are more famous for being fastidious, demanding and far too critical, they are, let me admit, accurate in their culinary judgements! Yesterday the latter part of the afternoon went in a performance assessment meeting for Wonderchef convened by Nicolas Gras and Ravi Saxena. We had a brain storming session for 2010 and there is likelihood of new launches in the range. My new book Dakshin Delights is ready – riffled through the advance copy while travelling to the airport – it will open new horizons for those who want to cook new things on a regular basis! As thoughts of Notun Gurer Payesh and Sandesh enter my mind I also hear my flight being announced!